Join us for a demo day with our partners at Santa Cruz Bicycles! They will be set up and ready to go in the parking lot at 10am. We are looking forward to this demo experience!! 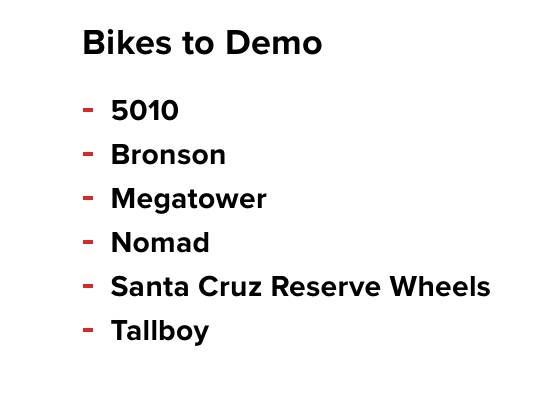 Please bring a credit card/ID, pedals and a helmet to demo any of their offerings. This event is first come, first serve so come early and grab a coffee while you wait in line! See the list below of what they’re bringing to show off to all of us!